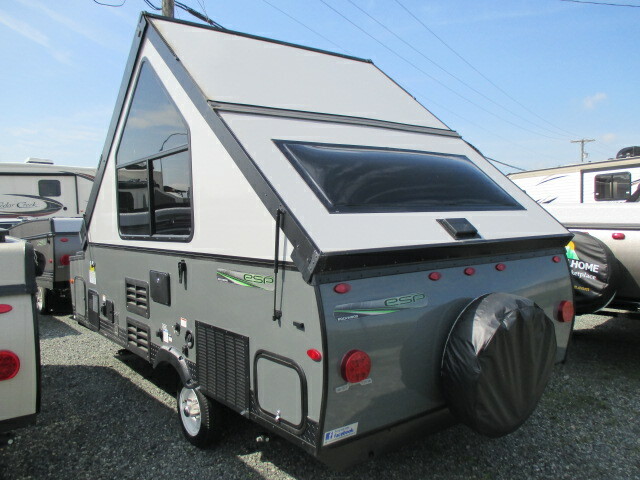 This Forest River Rockwood Hard Side Series A122S folding pop-up camper by Forest River offers front exterior storage with an EZ Reach storage trunk. 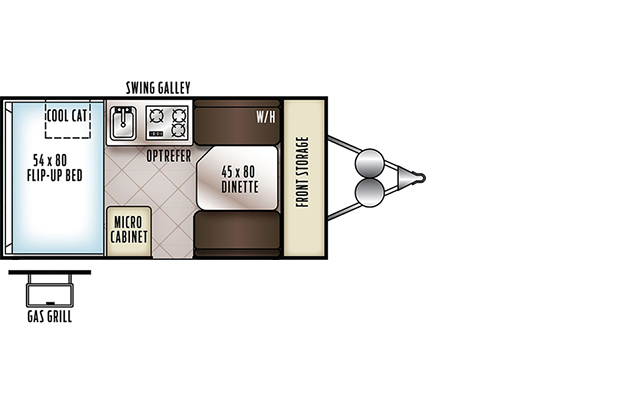 As you enter this pop-up camper, you will find a booth dinette to your right. 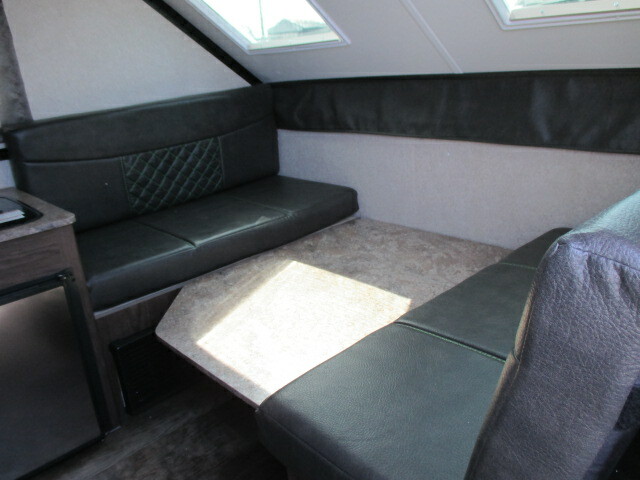 The dinette folds down to provide sleeping space for one if you like. 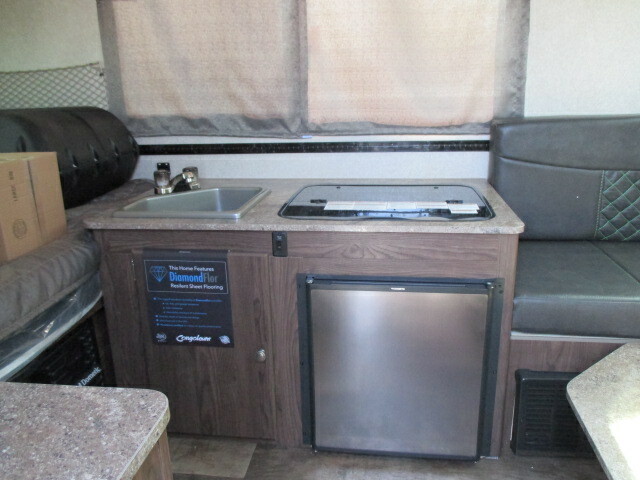 The road side wall features a refrigerator, three burner range, and single bowl sink. A microwave cabinet is on the opposite side next to the entry door. 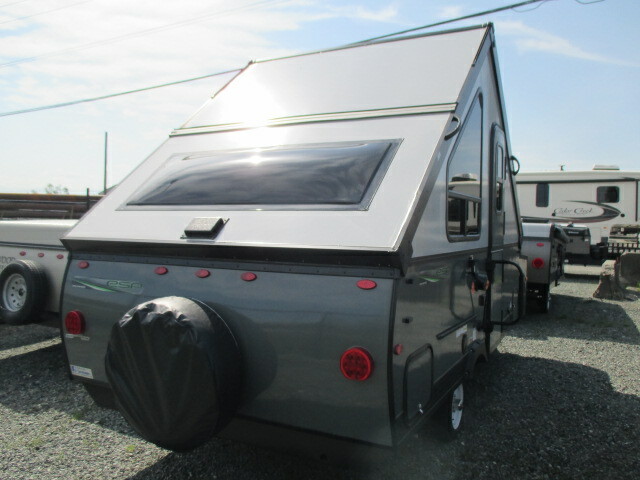 Along the rear, a 54" x 80" flip up bed has lots of storage. 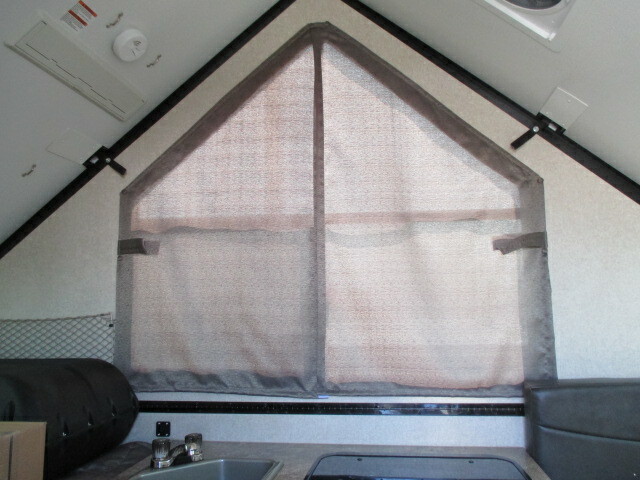 Also has the 14' screen room/awning to set up as an extra outdoor room. If you enjoy grilling, then the gas grill is ideal for you! 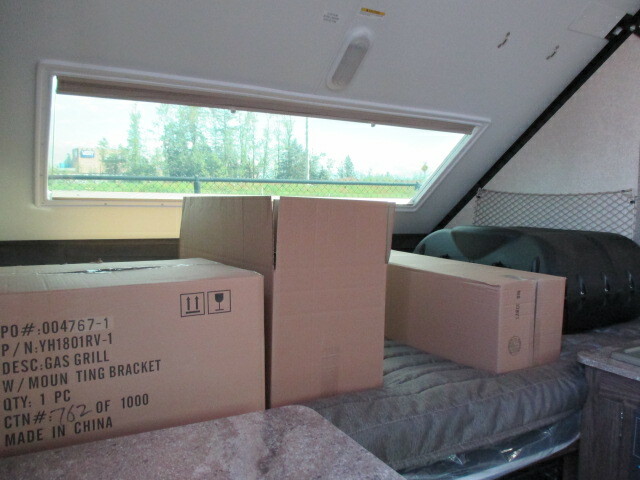 There is also exterior storage, a second EZ Reach storage trunk along the rear, and so much more!